Congratulations to our Art Renewal Center 2013 International Salon Artists! 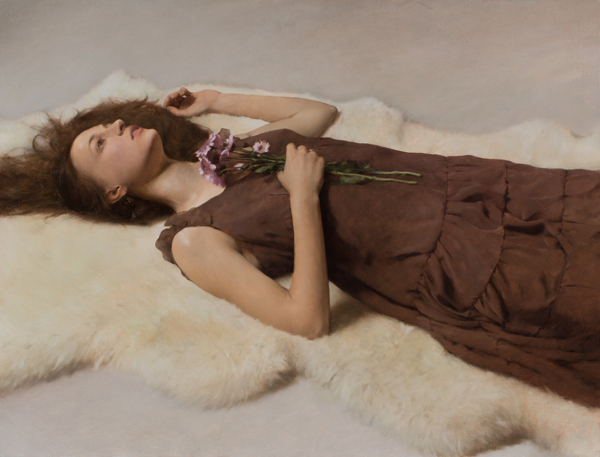 We could not be more excited or proud to announce that our very own Carlo Russo's stunning painting 'Dreams of Ophelia' was selected in the Art Renewal Center's 2013 International Salon Competition for a Purchase Prize and 3rd Place in the Figurative Category! Carlo is an incredible painter and could not be a more deserving guy. Just as many of you, we are going to miss 'Ophelia' at the gallery, but are happy to see her find a fantastic home! Carlo's 'The Blue Dress' was chosen as a finalist in the Still Life Category and can be seen in the gallery! 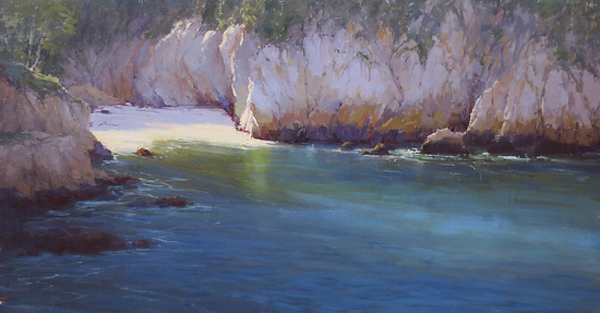 These two beautiful landscapes, by gallery artist Kathleen Dunphy, were both chosen as finalist in the Landscape Category in the ARC's 2013 International Salon Competition. Boston based artist Kelly Carmody, an invitational artist in our recent Back to BackExhibition, had her painting 'The Fisherman' (left) chosen as a finalist in the Figurative Category! Kelly's two Back to Back pieces are still on view in the gallery. Mary Sauer's 'Erin' (right) was chosen as a finalist in the Portrait Society of America's 2013 International Portrait Competition. Awards were given out at the Annual Art of the Portrait Conference where 'Erin' received an Award of Exceptional Merit. We are incredibly lucky to have so many accomplished artists represented in the gallery. All of them work extremely hard and we appreciate organizations, such as the Art Renewal Center and Portrait Society of America, who take the time to recognize their accomplishments. Stop by the gallery to see works from these artists as well as all the other talented artists we carry!